Vossloh is a world leader in railway signalling products and solutions. 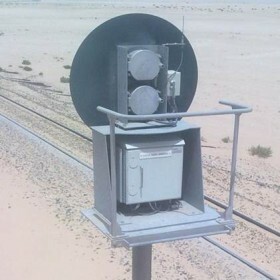 We cover a wide scope of signalling solutions such as: signalling data transmission system with SIL2 certification, level crossing control system, ALD (actuation, locking and detection) equipment. We offer a full range of actuation products, locking systems, switch position detectors and other equipment able to fulfill the highest safety and availability requirements for all kind of networks (high speed, conventional, heavy-haul, urban...).